Now that it’s Fall, a busy time of swirling activity and change, I’m looking for a grounding seasonal breakfast to start my day. Don’t know about you, but I can get into a morning rut. 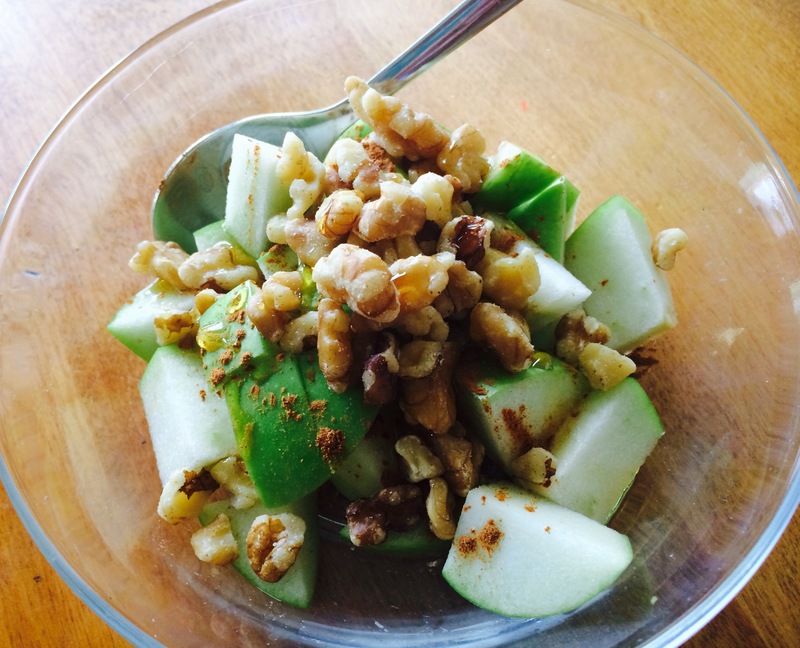 Always having the same thing…usually some variation of raw or minimally cooked oatmeal, nuts and seeds. As recent as five years ago, I was mostly eating boxed cereal for breakfast. I thought this was fine, even healthy. I’ve learned so much since then. I wouldn’t dream of eating that way now. First of all, boxed cereal is not a food, it’s a processed food product. There is nothing in nature that resembles a Cherrio or Fruit Loop. So I’m prepping for a yoga and chocolate tasting workshop that I’m going to lead next week (wanna come?) and I remembered this amazing drinking chocolate that I had in Santa Fe last summer. If you are ever there, be sure to check out Kakawa Chocolate House. It’s super cool. They have a ton of different chocolate elixirs to choose from and you can taste any one of them first…which of course, I did. And don’t you just love the word ELIXIR. Makes me think I’m drinking something magical and healing sent down from the Mayan gods. They have all kinds of interesting flavors added to the drinking chocolate including ancho chile, lavender, cinnamon, nutmeg, orange and rose to name a few. 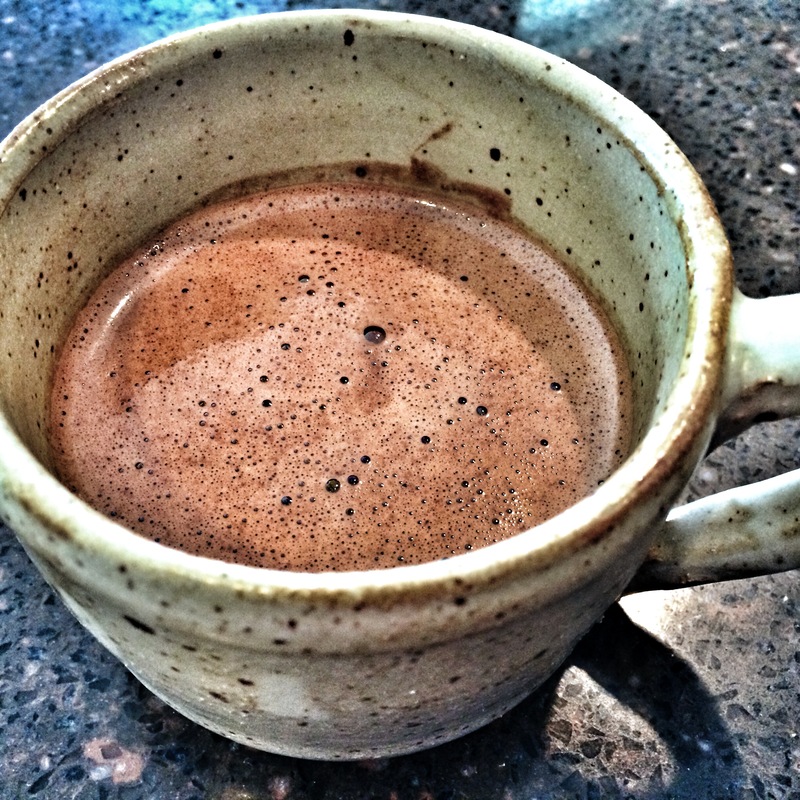 Some of the drinks are a little more bitter because of the higher cacoa content of the chocolate used and others are sweeter. For this recipe, I stuck with a traditional Mexican flavor combination using almonds, cinnamon and Mexican vanilla. How is it even remotely possible that I have been writing this blog for nearly six months and I am just now posting a granola recipe? 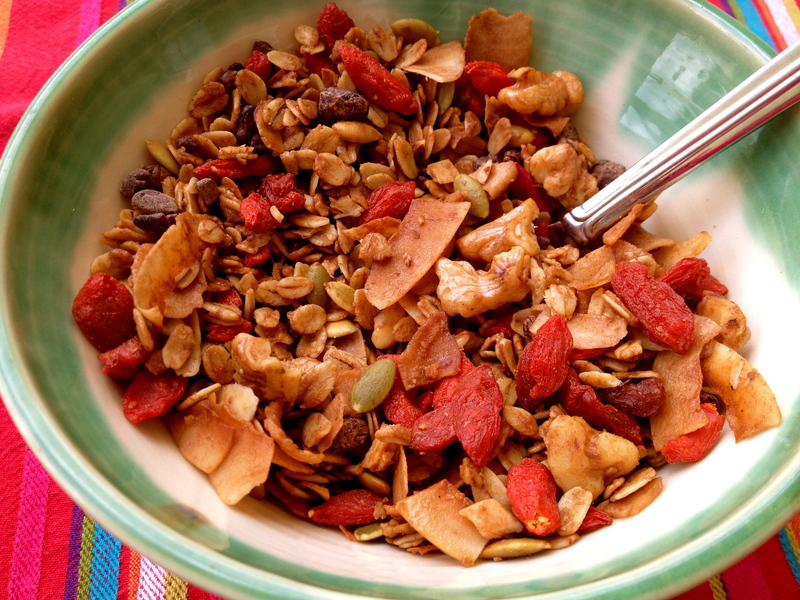 I mean come on…yoga + granola…it just sort of goes. Don’t ya think? I love having homemade granola in the house. It’s so easy to make and the variations are endless. The inspiration for this recipe came from a recent trip to my local health food/homeopathic store called the Natural Kitchen. Such a cool little shop. I’m amazed by how much they pack into this tiny little storefront. But I always seem to find exactly what I need whenever I stop in.